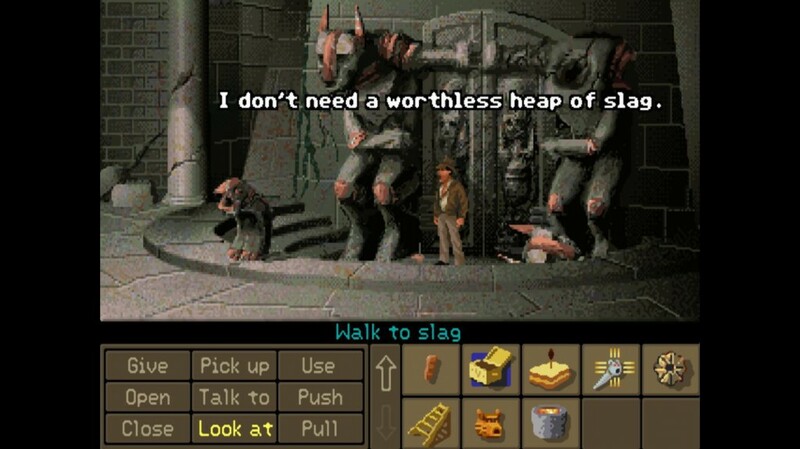 I was 10 years old and the first time I finished Indiana Jones I got to the most tragic ending, the one where Indy dies, forced by the Nazis to activate an ancient atlantidean artifact. I thought it was impossible for it to end like that, I was sure I had got something wrong. I reloaded, tried to change a few dialogue choices right at the end but I managed to obtain only a half success: Indy managed to stay alive, but Sophia died anyway and I sure couldn’t allow that. There was something I could have done, something that would fix everything and save the World, but words were not enough. Something was to change also in the choices I made before the final dialogue and being aware of this filled me with dread: I hated making decisions. As a kid it was hard for me even to decide if I preferred to eat chips or popcorn, let alone making a choice that would change the lives of my favorite characters! In the end the need to make the best choice got me and I started over, to be sure about every little decision I made, as I later did with Planescape: Torment and with table-top RPGs, but what really changed me after playing Indiana Jones and the fate of Atlantis was that it made me interested in choices per se and what they would entail. This doesn’t mean I decided to play only games with multiple endings nor that for each of these I had to try every different outcome (in Fallout 3 I never doubted my choices and I became the Scourge of Humanity, without ever questioning how it would have been to try to save everyone); it means Indy left me with a philosophical taste for choices, probably due to my chronic indecision. It also made me understand that every choice has its own consequences and that the shadows of the endless possibilities of my decisions would have always haunted me. Even worst than that are the ghosts of the choices we didn’t make, digging deep inside us up to the point where we doubt ourselves. 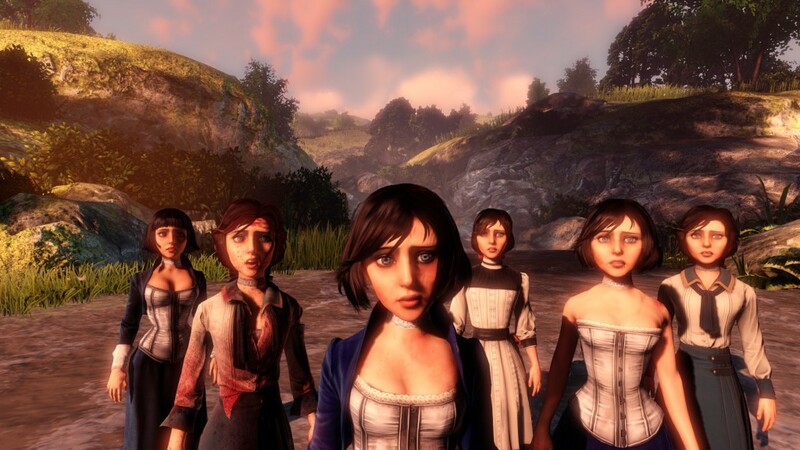 At the end of Bioshock: Infinite Elizabeth explains Booker that there are countless worlds in which he has made the most important of all decisions, for the end of everything comes from that same choice. The world forged by his decisions is slightly different every time, but they all share the same end. The only choice left for him is the one he has avoided for all his life: death. For every universe Booker has created there is a different version of Elizabeth begging him to stop the cycle of destruction his choices have created, making the only decision he evaded until the end. Right after I finished Bioshock I happened to uncover a little hidden gem developed by Atlus for Nintendo DS: Radiant Historia. At first glance I thought it was some Chrono Trigger clone, but after 20 minutes of playing it I couldn’t turn off the console anymore. The goal of the main character is, of course, saving the World from destruction, but he can count on what is probably the most powerful artifact ever used in a videogame: the White Chronicle. Through this book Stocke isn’t just able to travel through time, he can also live again and again the same situation to explore all the different choices he could make, having the power to change the choices he made with the experience he gained in all the time lines. The book doesn’t record the World’s History, but only its owner’s one. 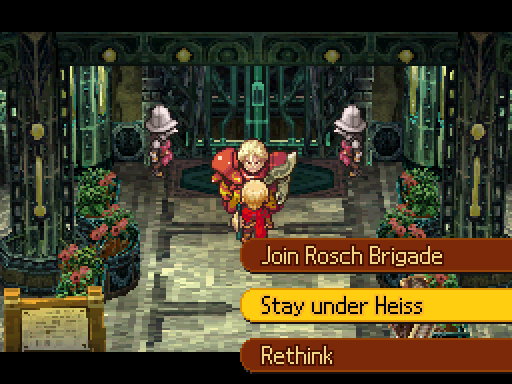 Radiant Historia is exactly what a role-playing game should be, stripped of all those extras the other genres of videogames like so much (levels, skills, classes, races…): an inquiry about the consequences of an individual’s decisions. Because there’s nothing worse than making the “right” choice only to find out that doing so means the death of your closest friend. What makes us grow are “wrong” decisions, because they are the only ones that make us ask ourselves about their implications. So this is what I’d like to say to my hesitant 10 years old self: learn to make wrong choices so you’ll be ready when they happen.